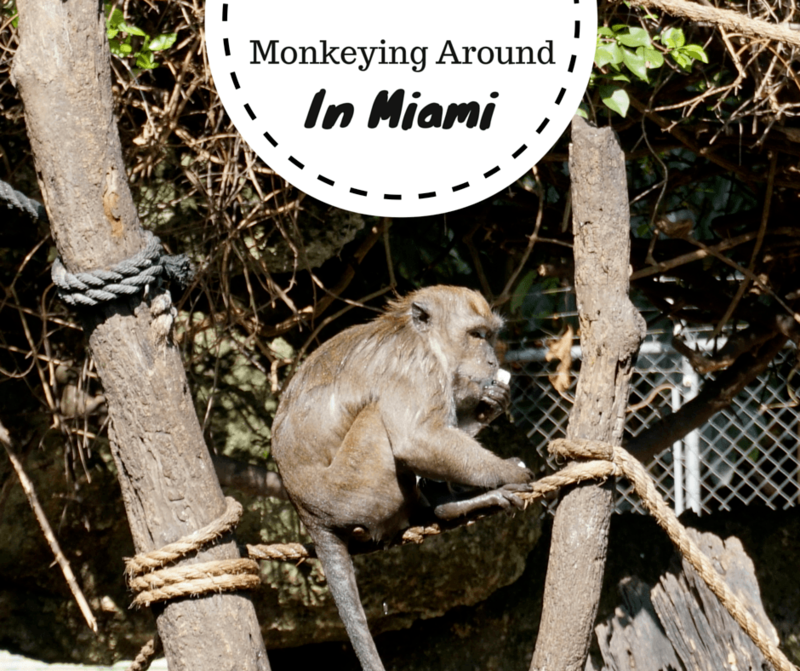 Watch with delight as monkeys roam freely inside Miami’s Monkey Jungle, the only semi-natural tropical rainforest in North America! Monkey Jungle was founded in 1933 by Joseph DuMond. He was an animal behaviorist who wanted to study primates in their natural habitats but didn’t want to travel the world to do it. So he imported six Java, or Crab-Eating, Macaques and released them onto 10 acres of land he had purchased in South Florida. His son Frank also helped to expand the site and spent over five years collecting plants from the Amazon rainforest in Peru to create the only semi-natural tropical rainforest in North America. The wildlife park is now over 30 acres. Since its founding, Monkey Jungle has helped scientists study primate behavior and ecology and many of their works have been published and recognized around the world. Aside from macaques, howlers, capuchins, and other monkeys, visitors can also see an orangutan, a gorilla, parrots, giant turtles, a rhino iguana, and more. There are coupons for a few dollars off on their website. Monkey Jungle is open daily, 365 days a year, from 9:30 am to 5:00 pm. You do have to get there before 4 pm though, because that is when their ticket office closes. We think they whole concept of Monkey Jungle is great. To be able to see the troops of monkeys roam around so freely is pretty awesome. And the fact that you’re in a mini rainforest is pretty cool too. It’s just one of the many things in Miami that people don’t expect to find. I love your blog! What creativity! Very interesting article. I had no idea something like this existed. You are displaying some really fabulous photographs in this blog entry. Drawing attention to a facility like this will help scientists continue to study and protect these fascinating creatures. Excellent work! What a cute post!! I also didn’t realise something like this existed in Miami! Love the monkey swimming!!! Made me smile today. You’re right, I wouldn’t associate Miami with a rainforest 🙂 It’s amazing that these animals can run free in this kind of environment. Wow, I never heard of such a place but I am glad that it existed! The best kind that allows monkeys to roam freely. I would keep this place in mind if I ever have a chance to visit Miami! Our children just love watching monkeys–in captivity or especially in the wild. May need to do a Miami layover and will keep this in mind. Thanks! I hope you do, I think they’d love it! It’s been so hot in Singapore today, I’ve legitimately just said out loud ‘man I’d love to be in a pool with that monkey’, before realising how stupid that sounds…ah well! This is definitely not the kind of jungle I had in mind when I think of Miami! But it goes to show that there is fantastic opportuities to explore nature no matter where you are in the world. That’s a cool place, I never heard of it. Next time I visit Miami, this looks fun to explore/experience. Awesome Noel! I hope you’re able to visit! I love all the animals! It looks like a great day exploring wildlife and learning about the botanical features as well. Hi Jess! It’s a lot of fun. Hope you’re able to make it one day! Would never thought about a Monkey Jungle in Miami, what a surprise! Hope Buddy was happy to see his friends running freely around! I had no idea there was a monkey jungle in Miami. Looks pretty cool. It’s always good to find cool things during your travels and monkey jungle sounds like a hoot! Glad Buddy got to interract with some of his friends! ha! I love how the humans are the ones caged on the walkways. It must be great fun to see the monkeys playing and interacting with one another. It’s wonderful to hear that Monkey Jungle is also used as a place to study the monkeys. I always thought go to Miami for the beach but this seems like an interesting place to check out too. Thanks for letting us know about this. Miami had so many tropical places and great nature reserves that I didn’t realise before I went. I hadn’t heard of Monkey Jungle until now. So much to do in Florida! There is SO much to do!! I think most people just don’t realize how much lol! That’s one monkey jungle alright. I didn’t know that there’s a rainforest located in Miami. It’ll be fascinating to visit this place. Thanks for sharing.